An aromatic soothing moisturiser with a unique combination of the finest essential oils, bio-active sea minerals and essential fatty acids; all combined with the latest youth enhancing, skin-lifting Peptide. Comfrey Root and Ginseng work to condition and revitalise the skin by boosting cell repair and collagen synthesis. Herbal extracts from the fruited cone of the Cypress tree, the germinated seeds of Barley and the stem of Solomons Seal combine with Arnica Montana to soothe, reduce redness, and boost the skins natural resistance to the formation of thread veins. Leaving the skin de-stressed and glowing. 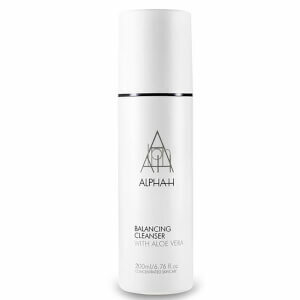 After thoroughly cleansing the skin, apply twice daily to the face, neck and decolletage in upward and outward circular movements. Regu-Cea, Arnica, Solomon’s Seal, Cypress Berries, Coral Seaweed, Jojoba Oil, Evening Primrose Oil, Vitamin E, Peppermint Oil, Ylang Ylang, Malt. I'm 33 years old and I have oily/dehydrated skin with very large pores on my forehead, nose, cheeks and chin. I thought this cream would be the solution to all my problems, but it left my skin feeling quite tight and flat despite the amount of product I used. It did, however, slightly improve my redness and my pores appear tighter, but for this price I expected something better. love this product it make my skin look and feel wonderful, highly recommend this cream. I really love this moisturiser. After only a few days my skin was clearer and brighter. I have had small spots under the skin on my forehead for a long time and these are much better, my skin feels and looks smoother. The redness I have on my nose is reduced too. I will definitely continue to use this product. Love this product. Not too greasy, yet thick enough to provide good moisture. Lightly scented. Fantastic product, great for mature skin. Highly recommend. Lovely texture, leaves skin radiant and refreshed.